It's weekend reading tiiiiiime! And I'm grumpy again. But I decided to talk about reading before I explain why so if you just wanna talk reads you can skip the bits and bobs about my life. This weekend I'm juggling a handful of reads. 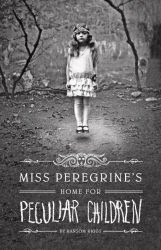 The library notified me that Miss Peregrine's Home for Peculiar Children was auto-checked-out to me because it became available and I fell asleep listening to it last night. I can see why everyone loves it. Very spooky and otherworldly so far. I'm also listening to Night Rising by Chris Marie Green but I can't seem to get into it so far. The characters aren't working for me, but the world building is really promising so I'm going to give it a full listen before I decide whether to continue with the series. In ebooks I'm reading Broken Shadows, the third Shadowminds book, by A.J. Larrieu. It's pretty good so far but my copy's print is so tiny I'm having a tough time sitting through more than a few pages before I need a break. Anyone here read the series yet? Riding the Odds is my other read. I really don't have time for another read right now but the premise was just too cool to pass up. I'm definitely digging it so far. This week my husband got results back on an allergy testing I finally got him to have done. He was allergic to none of the things we thought he might be like pet dander or dust. Instead he's allergic to almost every mold and pollen... and a TON of foods. Common foods. Wheat, rice, potatoes, corn, garlic, tomatoes, yeast, oranges, peanuts, walnuts, and shrimp. Over night we went from average American household to food insanity. Did you know that corn is in almost everything? Same for wheat and tomatoes. So I've been extremely stressed out trying to find out how I can feed our family and not use garlic or tomatoes or any of the other things. Which means no pizza, no tacos, no mac n' cheese, no stir-fry... the list goes on and on. Many of them we'll eventually be able to have but I have to learn how to make everything using alternatives like coconut flour, tapioca starch, carrots, and other substitutes. It's a major challenge an if the $400+ I spent on groceries today are any indication it's going to be a spendy lifestyle change. I'm already missing spaghetti and cereal. Oh my word. That is a LOT of things to be allergic too. 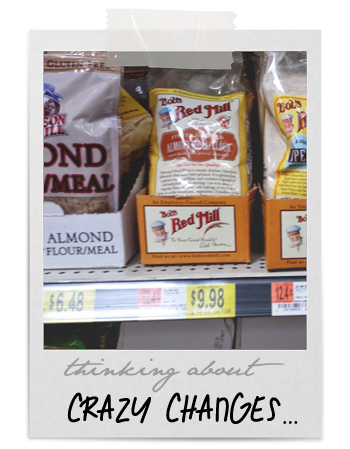 Not sure which grocery store chain you use but maybe talk to them and see if any of their staff deals with allergies. We have a Publix here and I was needing to do gluten free items for an event and one of the ladies who works there does gluten free for her daughter so she walked me through the whole store pointing out items that would be safe and making suggestions about which items were good or not. It was pretty awesome. Are there any FB groups or local groups of families dealing with severe restrictions? Might make it a little easier to adjust to things if there was a group that had been there and gotten through those early stages? My son is allergic to a lot of things (The HARDEST is dairy, it's in everything! ), I have different allergies, my daughter is almost a vegetarian and my husband just eats MEAT. So honestly my best advice is to make multiple meals, but still in the normal proportions so then you have leftovers for the next night or two. Make one large meal for you and the kids, and then a special meal for him. Because allergy free food is EXPENSIVE as you say. So there's not much reason to feed everyone in the family the special foods and break your bank. It's just a little bit more work to make multiple meals, but with the leftovers and if you crockpot cook, it wont be too bad. You could even do Freezer cooking for your hubby's meals. Spend a Sunday making a ton of freezer meals for him that you can pop in the crockpot in the AM or in the oven, etc later depending on the meal each day. Can I just reach through the web and give you both a huge squeeze? Thanks for commenting! So far we're doing surprisingly well. My husband is usually a bit picky but he's been being a pretty good sport about my attempts to feed him. We don't regularly shop at the one local place that has a lot of options Anna, because it's usually very expensive, but we made a trip there shortly before I came home and wrote this post and we did find a lot we could work with. I think bread/crackers/chips/pastas are our hardest challenge because most gluten-free stuff is made with potato starch or rice flour. Some paleo stuff is okay but a lot of it is heavy on the eggs and my hubs is worried about high blood pressure. I will definitely ask the staff for some assistance next time I'm over there though. Awww man Katie that IS a tough one. The first thing I said to my husband was "well at least you can have dairy still" because you're right, it's in everything! I'm also thankful that (so far) neither of our kids has a food allergy and my only one is kiwi which is easy to avoid.